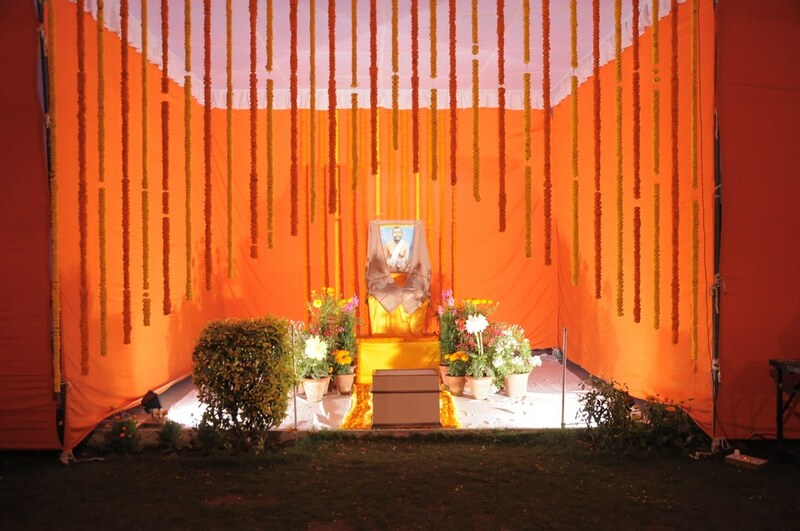 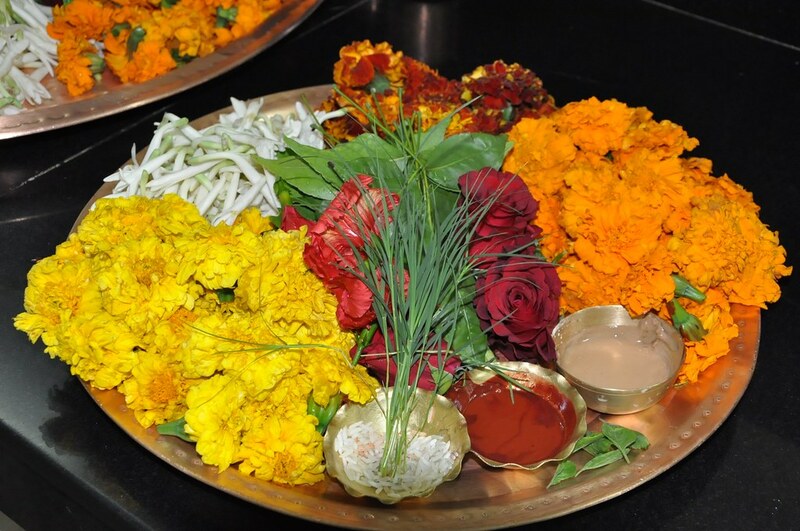 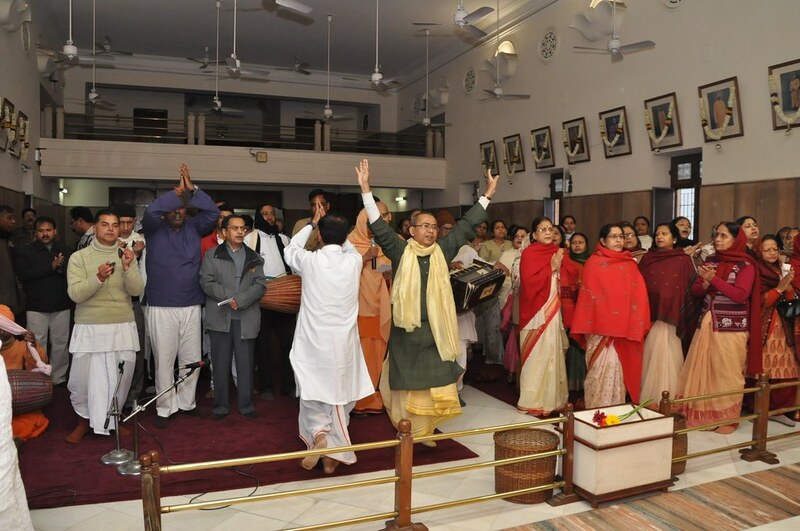 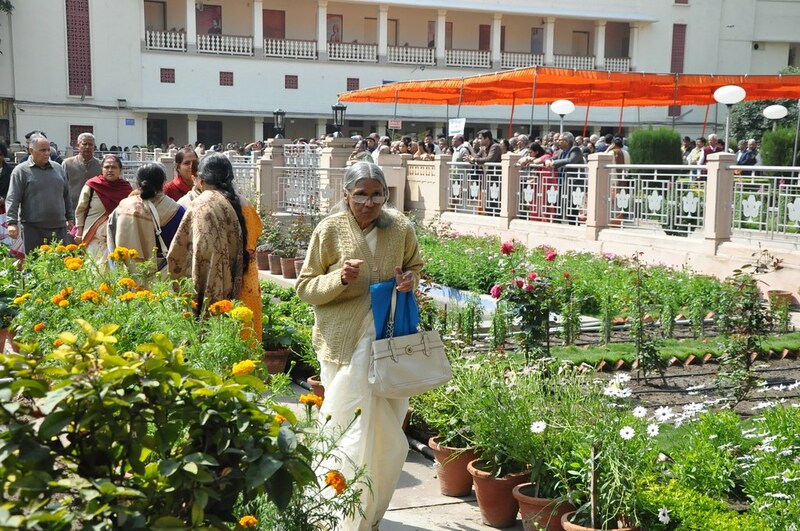 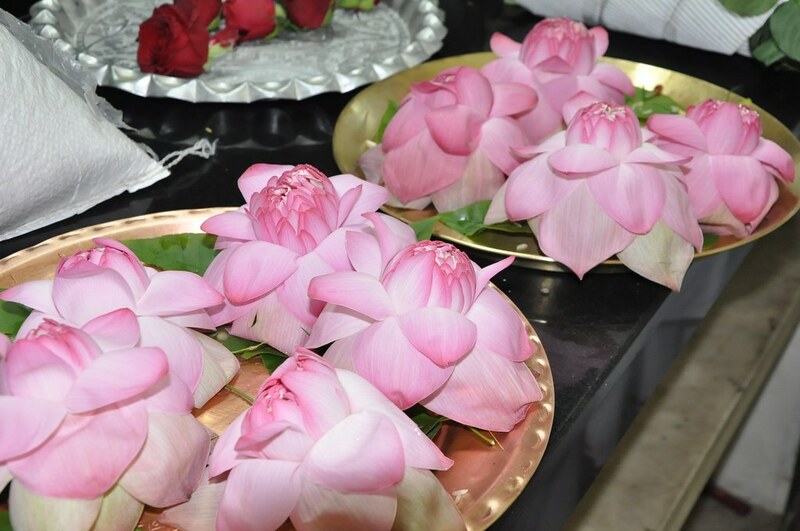 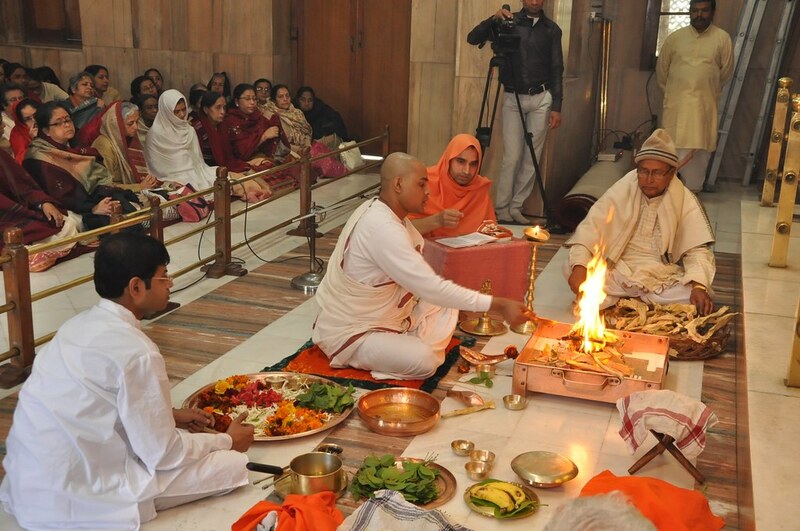 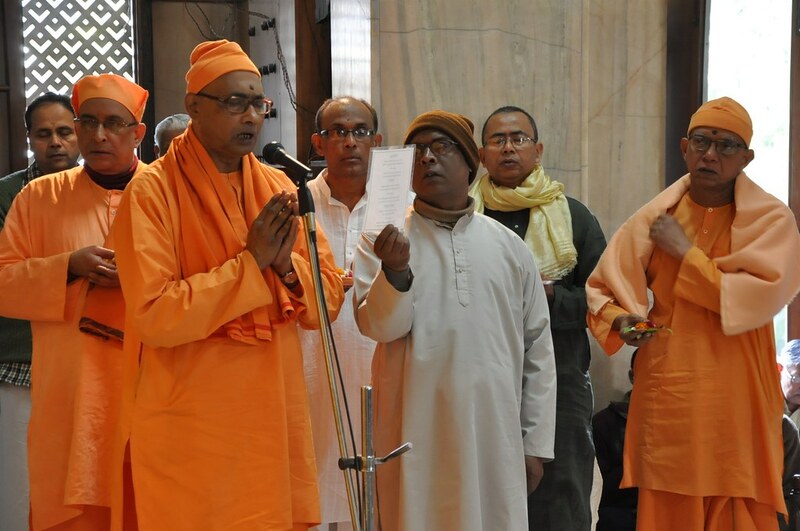 The 179th Tithipuja of Sri Ramakrishna was celebrated on 3rd Mar, 2014 at Ramakrishna Mission, Delhi. 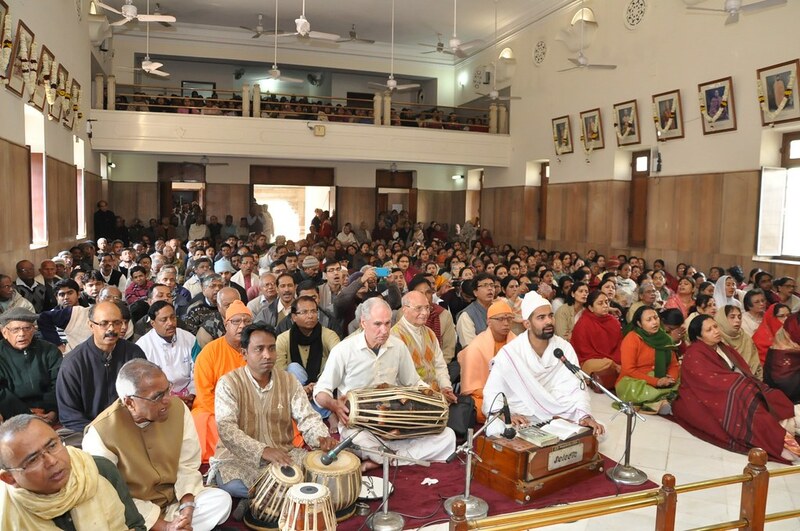 The days program started with the Mangalarati of Sri Ramakrishna at 5 am and singing of Vedic hymns. 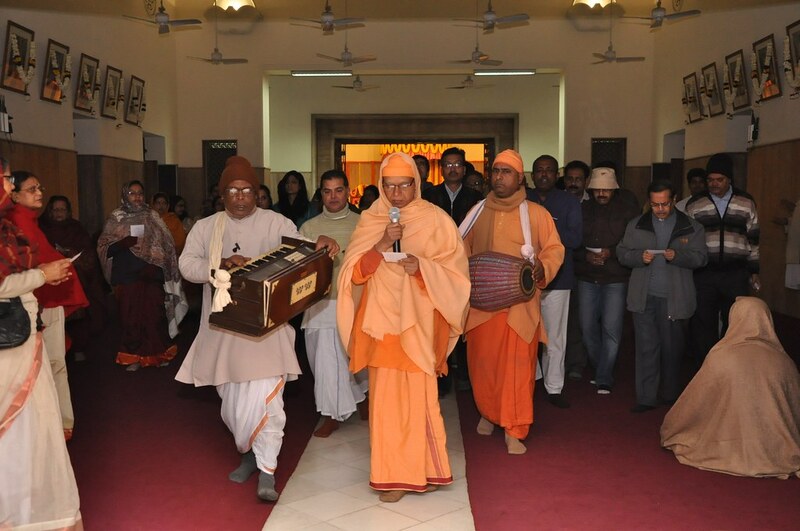 Devotees and monastics sang some of the popular songs on Sri Ramakrishna and walked in a procession (Parikrama) around the temple. 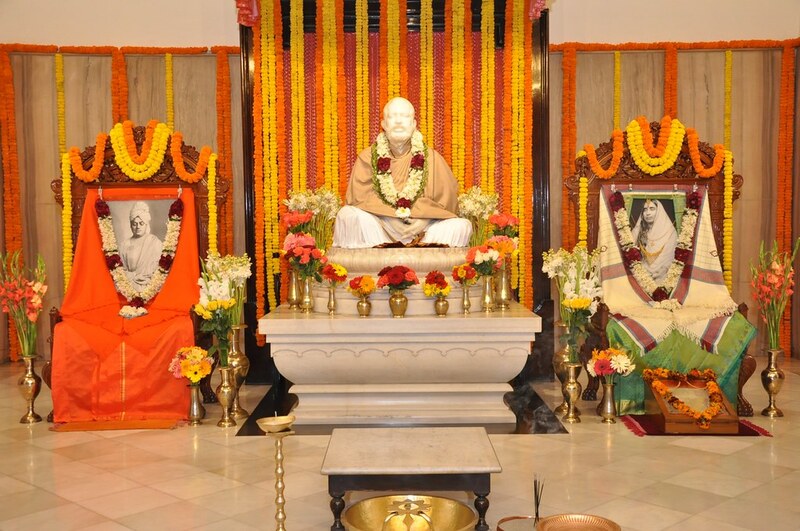 The Shodashopachara Puja (Puja with 16 items) of Sri Ramakrishna began later. 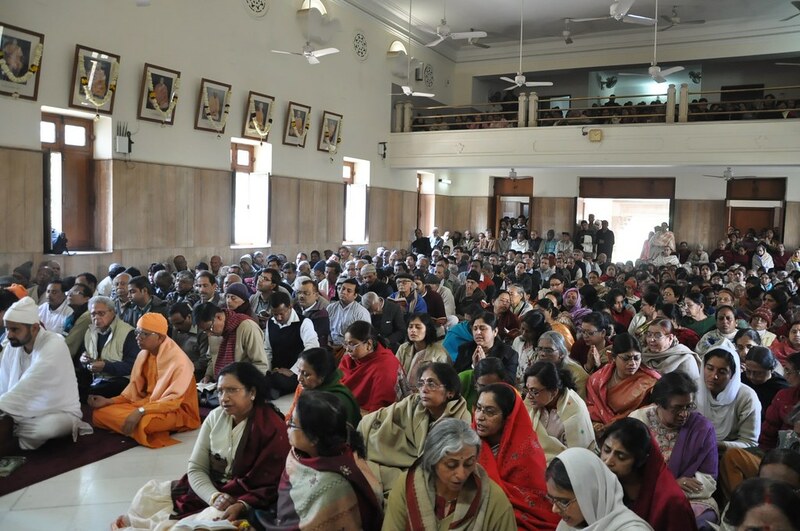 Devotees began arriving in large numbers and gradually the temple complex was full. 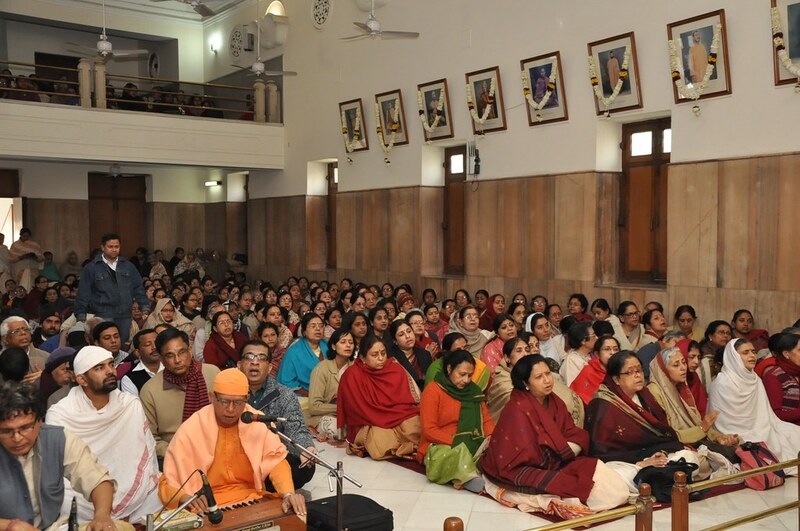 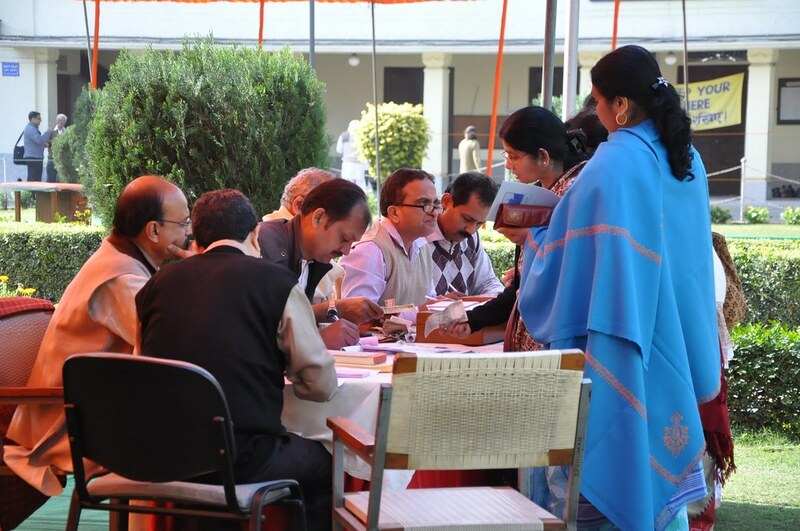 Bhajans, Stotras and devotional prayers marked the morning. 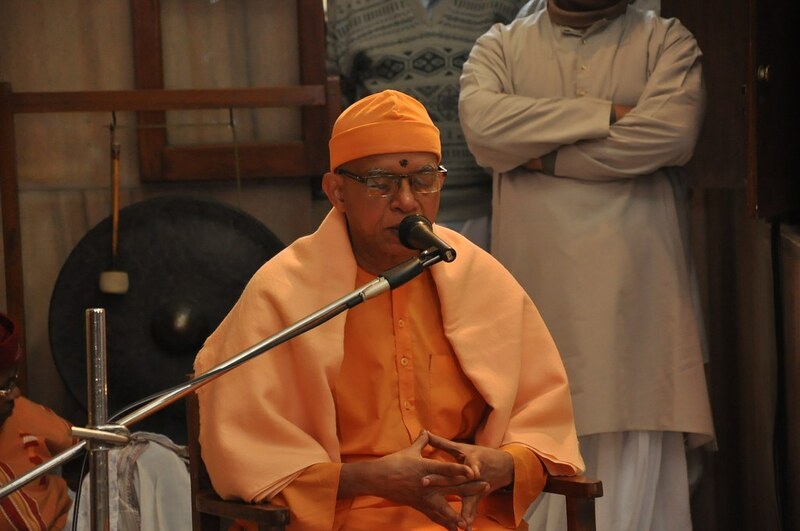 Swami Shantatmanandaji, Secretary, Ramakrishna Mission, Delhi delivered a brief talk on the life and message of Sri Ramakrishna. 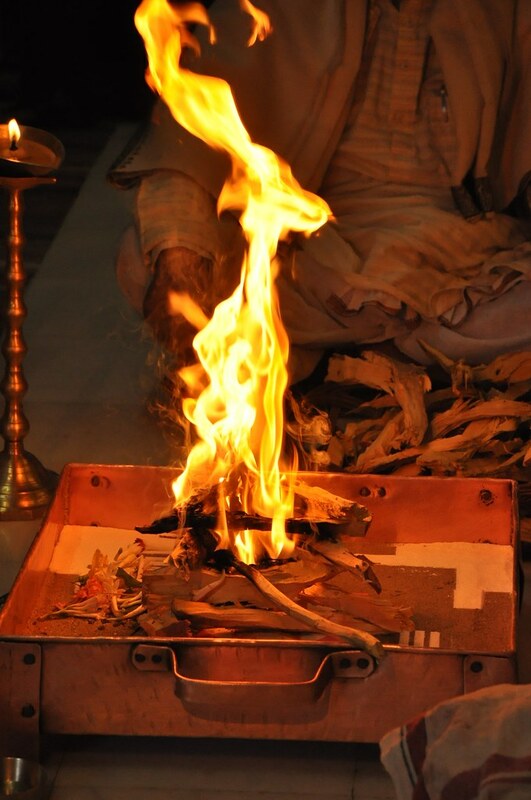 Homa (havan) was also performed. 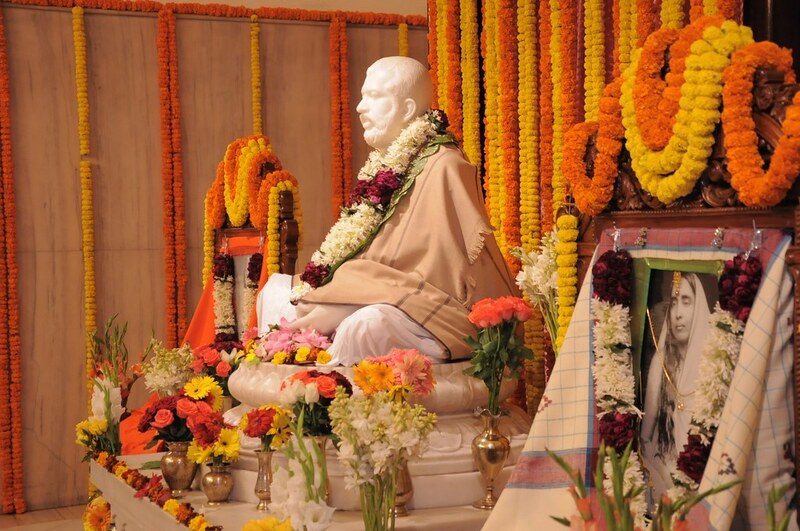 The Bhogarati of Sri Ramakrishna marked the end of the morning’s program. 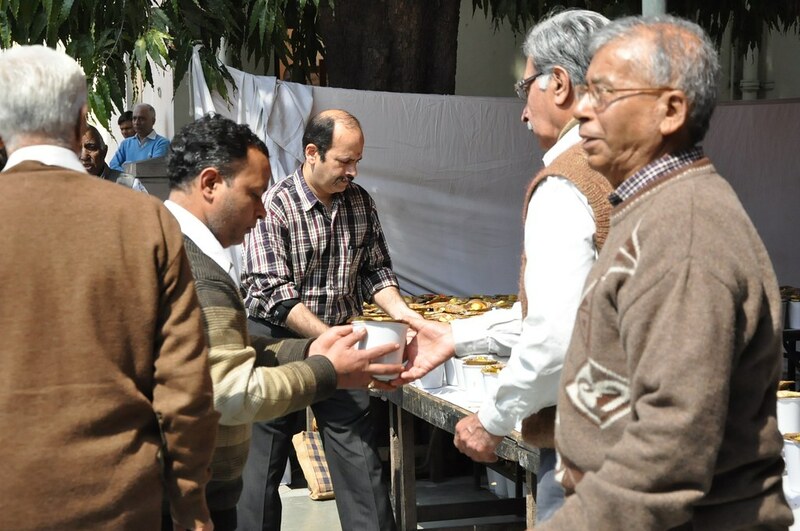 Kichudi prasad was distributed to all the devotees. 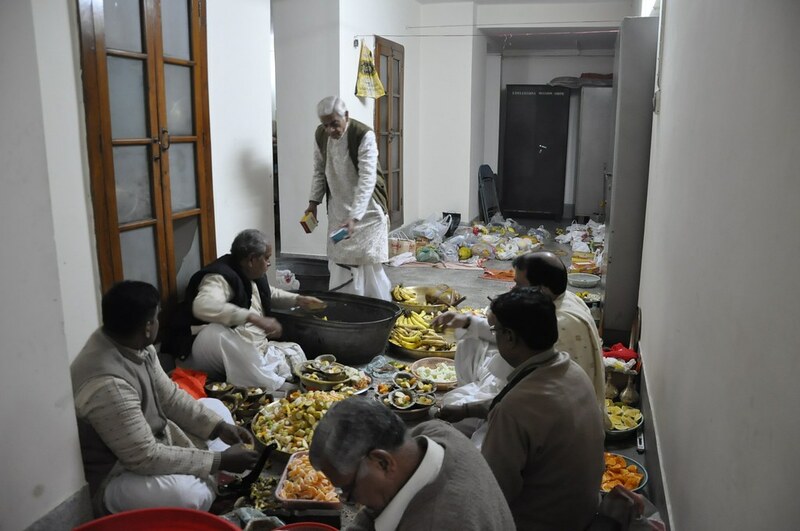 Huge quantity of Kichudi prasad was also distributed at the gate till late noon. 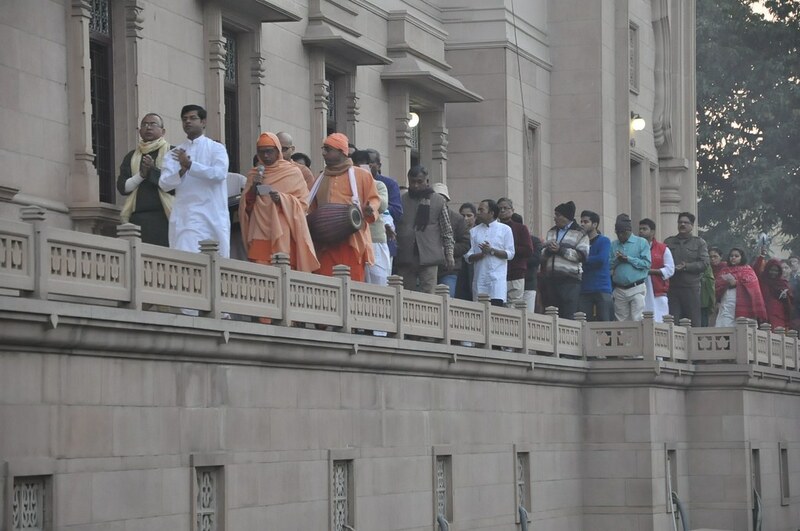 Since it was a weekday, many devotees who could not attend the morning Puja arrived for the evening prayers. 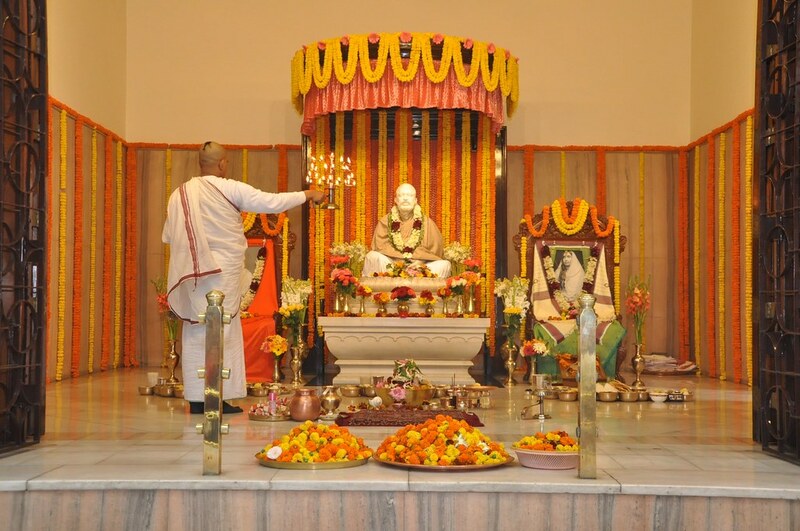 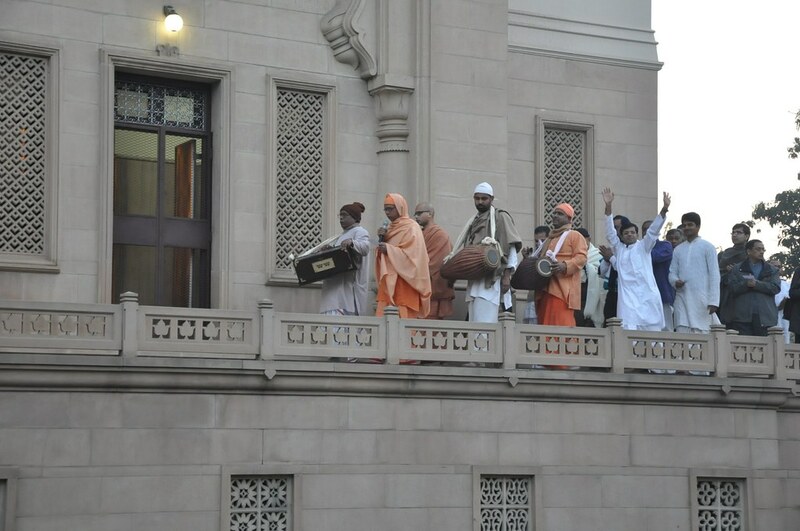 The evening Arati of Sri Ramakrishna was very special with so many devotees of the Lord. 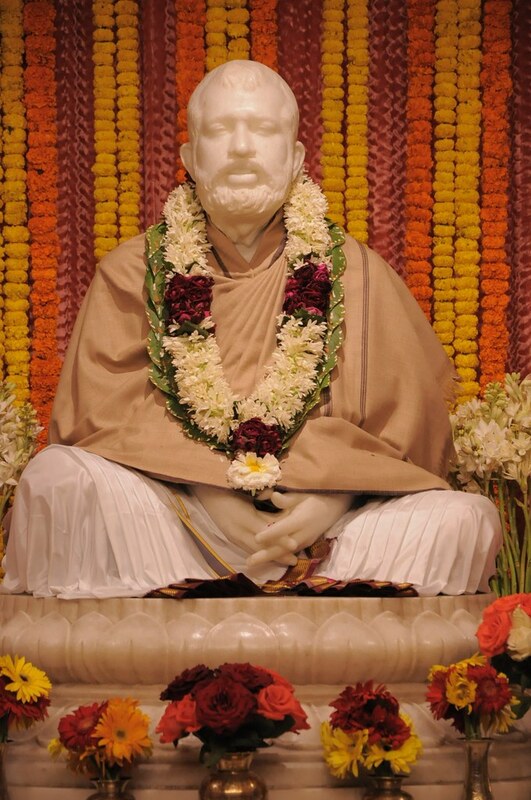 Prasad was distributed to all even as the refrain of ‘Ramakrishna Sharanam’ went on everybody’s minds.